Our experienced team of obstetrician-gynecologists and staff provides a collaborative, balanced approach to individualized care. It is estimated that 15% of American women disclose that they have chronic pelvic pain. Our Obstetrics staff provides you with the comprehensive care you need. Our focus is placed on pregnancy, maternal and fetal health, and childbirth. Grace Obstetrics & Gynecology experienced team provides a collaborative, balanced approach to individualized care. At our Obstetrics and Gynecology practice, our team understands the physical and emotional challenges women experience. It is because of this that at Grace Obstetrics & Gynecology we know how important it is for women to feel comfortable with their health care providers. That is why we believe in providing a comfortable, nurturing and supportive environment for our patients and their families. We ensure that our patients receive the most advanced and up to date services. We know how important the road to motherhood is, especially for first-time mothers. One of our passions is educating and helping women receive early prenatal care during this important stage of their lives. At Grace Obstetrics & Gynecology we are also aware of the concerns that come with labor and delivery. Our experienced team of professionals is here to assist you through this experience, whether is Natural Birth, C-sections, and VBAC delivery. Grace Obstetrics & Gynecology offers a modern model of healthcare. Women’s Health Care is an extremely important topic for women. For everything from routine Pap-Smear Check-ups to Family Planning, Grace Obstetrics & Gynecology is here to help guide you and provide the best care possible. As care providers, it is a privilege to be invited to be a part of this process. 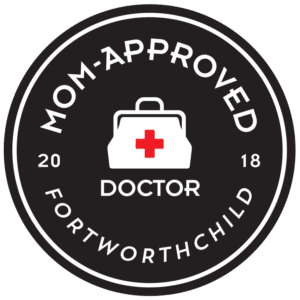 Our providers serve women and families at four convenient locations in Fort Worth, Cleburne, Granbury and Aledo/Willow Park in Texas. Wellness is about more than just your physical condition. Building a relationship with a provider you can trust builds the foundation of health management – for a lifetime. Every pregnancy and birth is unique. We will work with you to welcome your miracle in a safe, nurturing environment. You are the most important member of your healthcare team. Whether you prefer to work with our OBGYNs or midwives (or a combination of providers), you will experience consistent, compassionate, evidence based care. Our six providers serve women and families at four locations for appointments, and two locations for your birth. Women are profoundly impacted but not defined by the experiences they have bringing their baby into the world. As care providers it is a privilege to be invited to be a part of this process. Likewise, You deserve the same level of care, time and energy you give to everyone else for you and your body. It is an honor to help you take care of you. We hope to make the experience unique and within the medically safe, evidence-based guidelines we practice. “ I couldn’t be more happy with the entire experience. Not only was our health a number one priority, but so were my emotional needs as well. I recommend them to anyone seeking more out of a provider.” - Andrea C.
“The care we received along with the attentiveness and compassion makes this place everything it is. We delivered our second son here and when we have another baby, there is nowhere else we’d rather be.” - Ashley S.
“Grace provided me with beyond exceptional care with a very genuine caring atmosphere. I never felt rushed and I always felt they listened to my wants and needs. They helped me receive the birth and care I was dreaming of.” - Tatum B.